Ilkeston - No Ordinary Man! 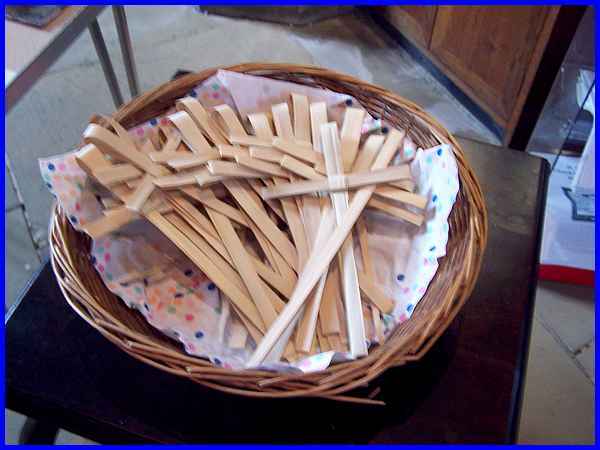 Holy Week began on Palm Sunday at all the local churches including in St Mary's where a basket of palm crosses was ready for distribution to the congregation. To record this photo as your favourite from this week's selection vote for "Palm Crosses" below. On Good Friday attention centred on the Queen Street Baptist Church where there was Opening Worship prior to the annual Silent Walk of Witness. To record this photo as your favourite from this week's selection vote for "Baptist Church" below. 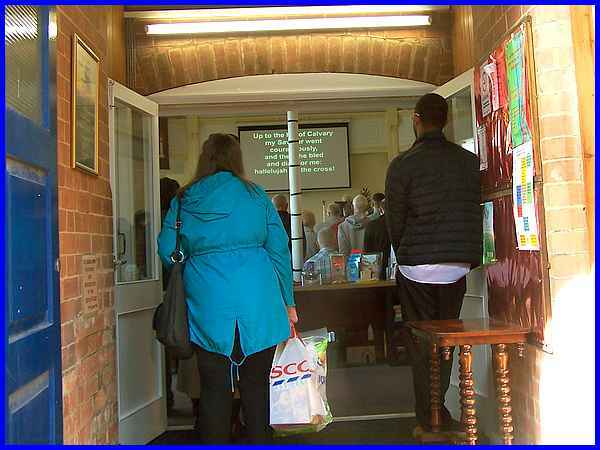 The doors were flung open wide but for some, it was still standing room only as Christians from all the local churches met for a short service. To record this photo as your favourite from this week's selection vote for "Open Doors" below. Armed with brightly coloured hymn sheets, everyone exited the church to reconvene on the Market Place. To record this photo as your favourite from this week's selection vote for "Leaving Church" below. 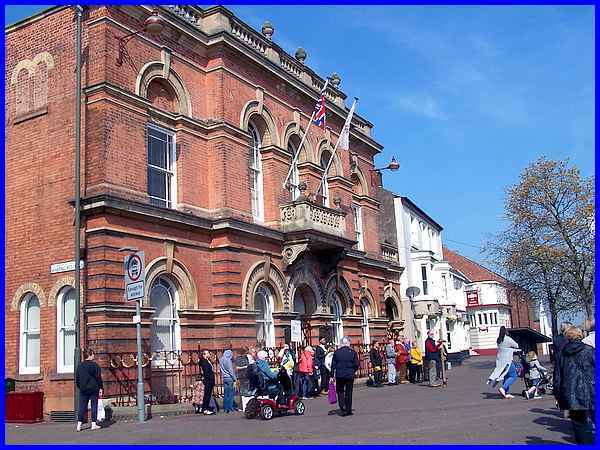 The assembly point was in front of the Town Hall. To record this photo as your favourite from this week's selection vote for "Town Hall" below. 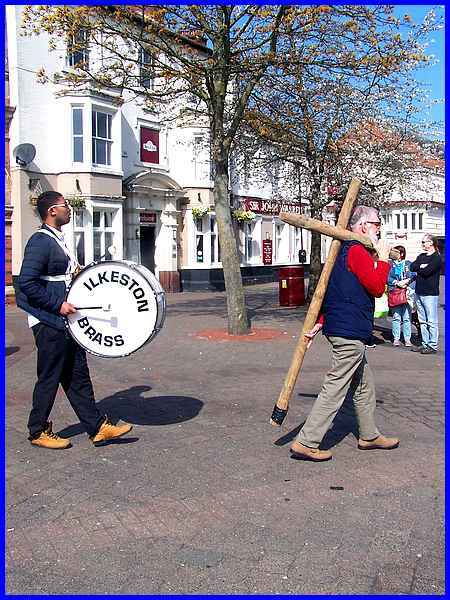 Following a simple wooden cross and to the beat of a solitary drum, the procession started slowly to make its way across the Market Place towards Bath Street. To record this photo as your favourite from this week's selection vote for "Cross & Drum below. There were three stops on route for dramatic readings under the heading of "No Ordinary Man! ", the first being on the Lower Market Place where the hymn "From heaven you came" was sung. 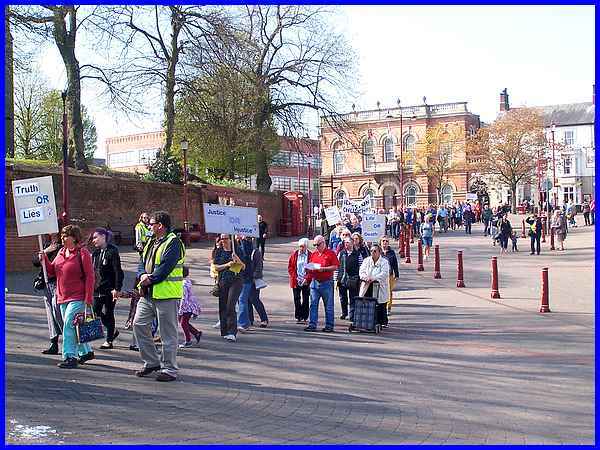 To record this photo as your favourite from this week's selection vote for "Lower Market Place" below. 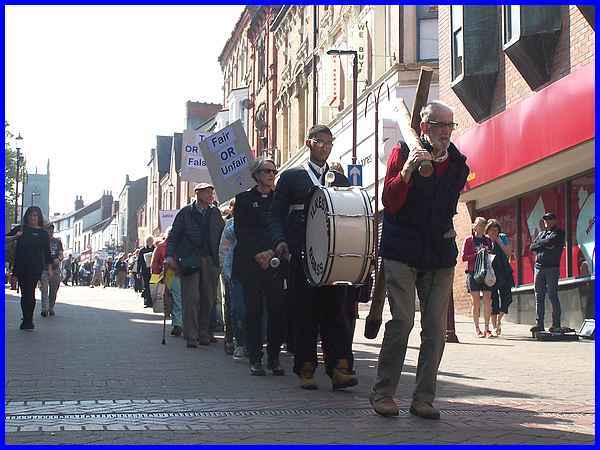 The procession then proceeded down Bath Street stopping just below the Albion Centre for the second reading and another hymn "There is s green hill far away". 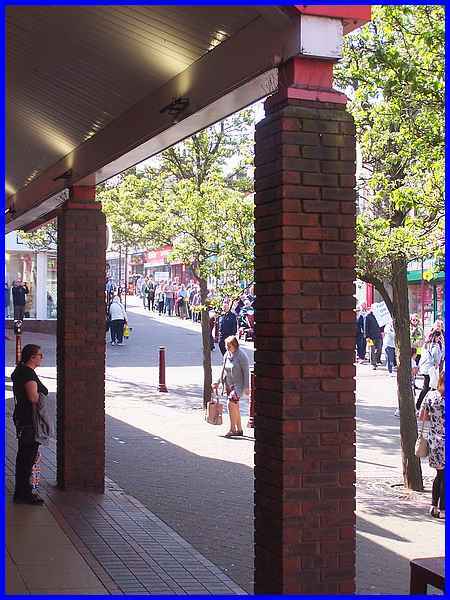 To record this photo as your favourite from this week's selection vote for "Albion Centre" below. The procession stretching back up Bath Street continued to its final stop. 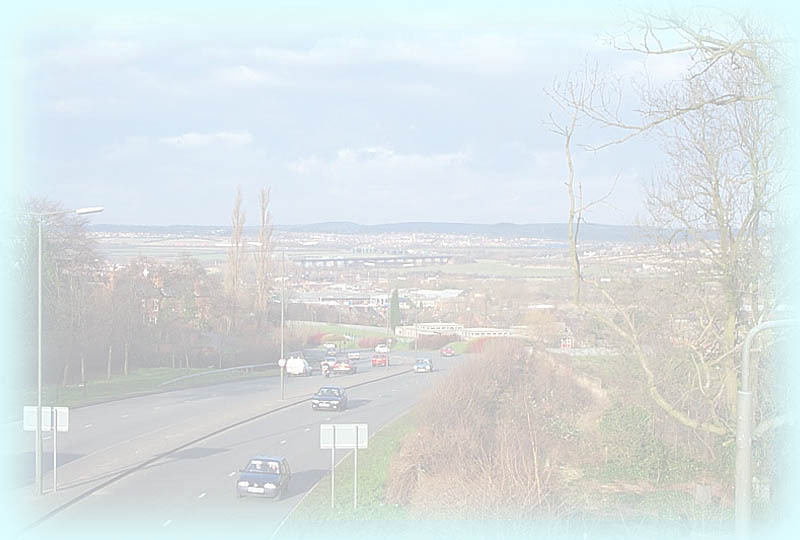 To record this photo as your favourite from this week's selection vote for "Bath Street" below. 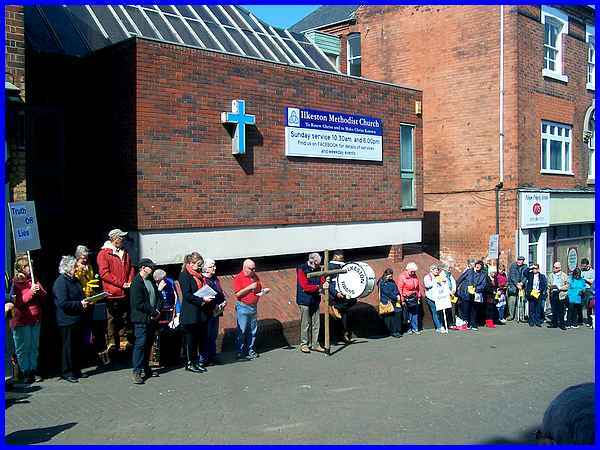 This was outside St Andrew's Methodist Church where the final dramatic reading took place with the singing of "When I survey the wondrous cross" following. 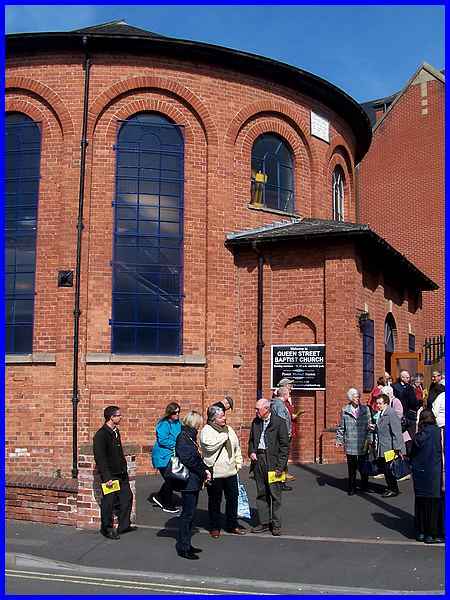 The walkers were then invited inside the church for refreshments. 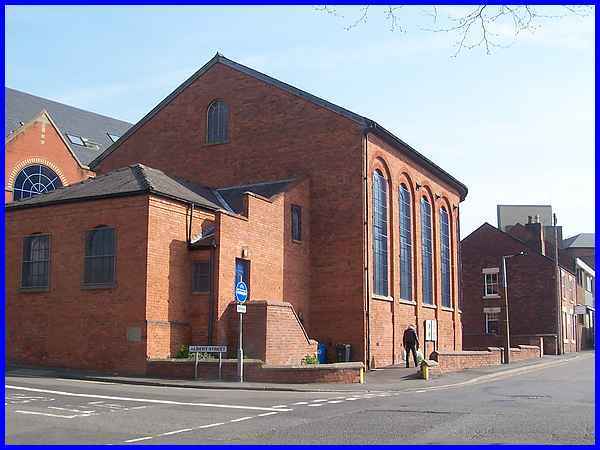 To record this photo as your favourite from this week's selection vote for "Methodist Church" below. 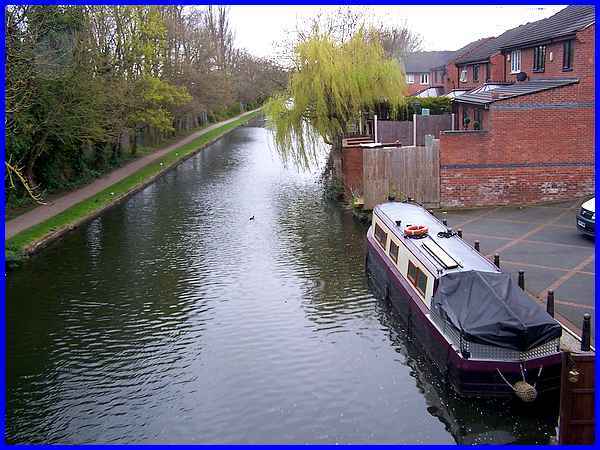 Favourite image last week was "Erewash Canal". To see previous favourites follow the "Pick A Picture" link below. The usual rule with polling is "One person - One vote." I try to apply the same rule to votes for this feature on the website. Only one vote from each ip address will be included in the final tally.